Intellectual Property Rights (IPR) provide a measure of the technological might of a company. In the case of wireless networks, it has always been a dominance of the west in driving registrations for essential patents for 2G/3G/4G networks. Chinese players were left behind in the IPR race for 2G and 3G. With the emergence of 4G LTE, Chinese players got a small share in the IPR stakes and have now realized the importance of IPRs. With 5G looming, key players like Huawei, China Mobile etc are racing towards grabbing a larger proportion of core patents for 5G NR. Additionally, these companies are now investing heavily in R&D, thereby widening their global influence and bargaining power. With the growth slowing down in their home countries, IPR will help key players strengthen their foothold at a global level. The focus of Chinese companies on developing 5G standards and acquiring related IP is clearly visible from their participation in organizations like 3GPP, ITU and their huge investments in R&D. Estimates show that 10% of the “5G-essential” IPRs were owned by China. 5G technology IPRs are divided into three areas: radio access (e.g., multiplexing, channel coding and data rate enhancements), modulation (mainly at the physical layer) and core networking. The influence of Chinese companies has risen in the 3GPP and ITU over time as many representatives have been elected to the chairman or vice chairman post in different groups. Some of the key players are Huawei, China Mobile, ZTE, China’s Academy of Telecommunications Technology (CATT) amongst others. The number of Chinese representatives in 3GPP’s technical specification groups (TSG) and sub-groups has risen from 8 in 2013 to 10 in 2017. In 2013, 7 out of 8 representatives were from Huawei and 1 was from China Mobile. But in 2017 only 5 out of 10 were from Huawei. (China mobile-3, ZTE-1 and CATT-1). In 2017, a Huawei representative was elected as chairman of TSG’s core network and terminal group. This is the first time a Chinese has been elected as chairman to TSG. Other companies represented in these groups are Ericsson (6 representatives), Samsung (5), Nokia (4) and Qualcomm (4). In 2017, Huawei spent USD 13.23 billion on R&D i.e. 14.9% of its revenue. 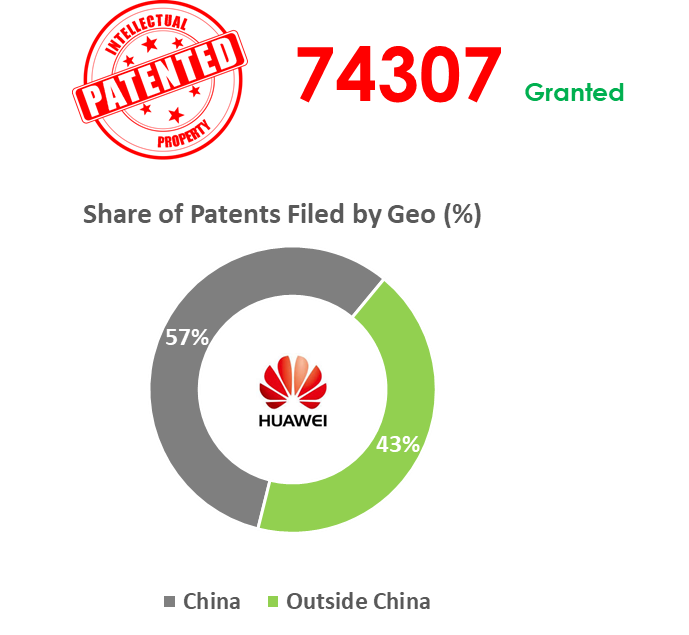 Huawei has a pool of 74307 patents in different areas and around 43% of these are outside China. 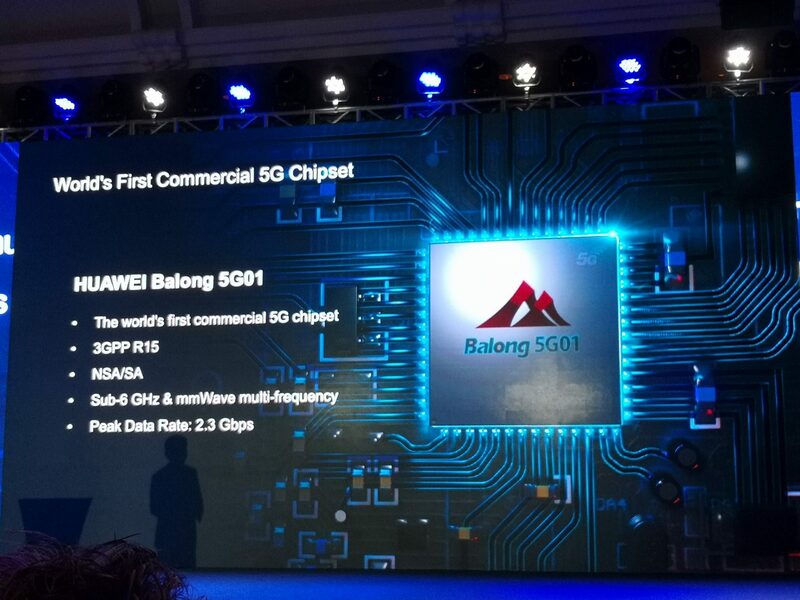 Moreover, Huawei’s Polar coding was accepted by the 3GPP as the coding methodology for the control channel in the 5G NSA NR. Since tech standards are still being developed by 3GPP, China is expected to acquire more IPRs in 5G. Huawei has invested close to CNY 394 Billion or USD 61 Billion over the last ten years in Research & Development. 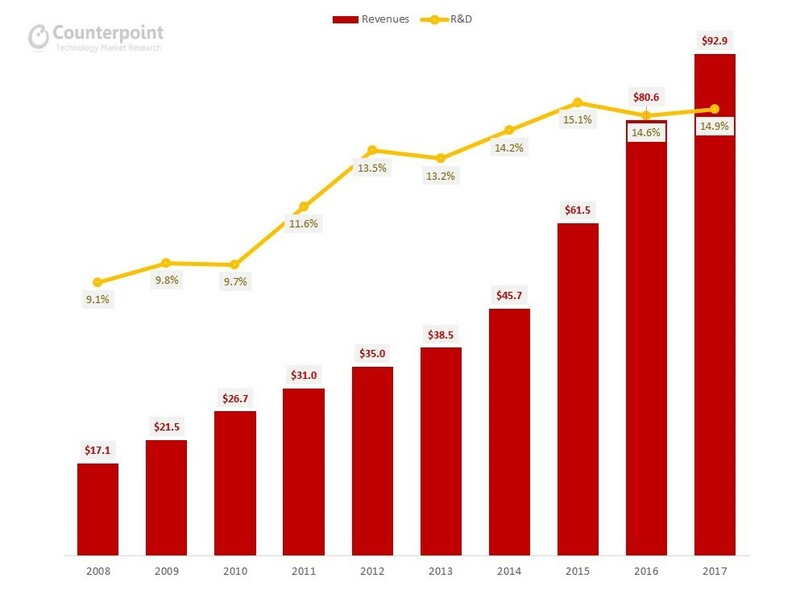 Over the last three years, Huawei has reinvested close to 15% of its annual revenues into R&D. More than 80,000 employees, almost 45% of the workforces works on R&D. Huawei has invested US$600 million in 5G R&D since 2013 with a team of 300+ people exclusively working on the same. Its R&D investments span from chipset to network infrastructure to cloud. 5G and AI have been the two key areas for investments. Huawei has emerged in a strong position at the global level. It is one of the few players which has control over the entire ICT value chain. 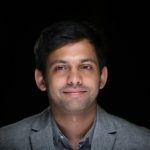 Thus, with active R&D investment and IPRs it is becoming a technology giant; its reach encompasses not only cellular and wireless communications but also in cloud, IoT, and chip development.